After 40 years at Inter-Varsity Christian Fellowship, Dr. Donna Dong [DMin Leadership 2012] decided to help strengthen the ministry to better reflect Canada’s ethnic diversity. She attended Tyndale Seminary’s Doctor of Ministry (DMin) program. Donna’s thesis involved creating a training model for Inter-Varsity staff to raise awareness of how people are individually shaped by culture. 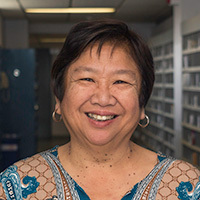 With her training, the numbers of visible ethnic and Aboriginal students increased from 10 per cent to 27 per cent in the campus ministry. She then continued her training program at Inter-Varsity’s Ontario Pioneer Camp. “I feel like my thesis really was an introduction to the world of cultural difference,” says Donna. Donna was accepted as a delegate for the Lausanne Global Diaspora Forum (GDF) in March 2015, which discussed topics related to diaspora missiology. “My work, guided by the Tyndale DMin course, puts me in a good place for this,” she says.